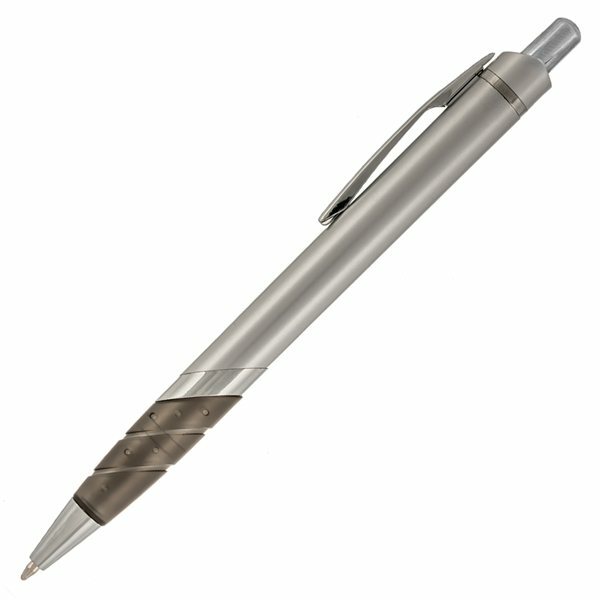 A plastic pen with a metallic finish and a colorful, translucent rubberized comfort grip. 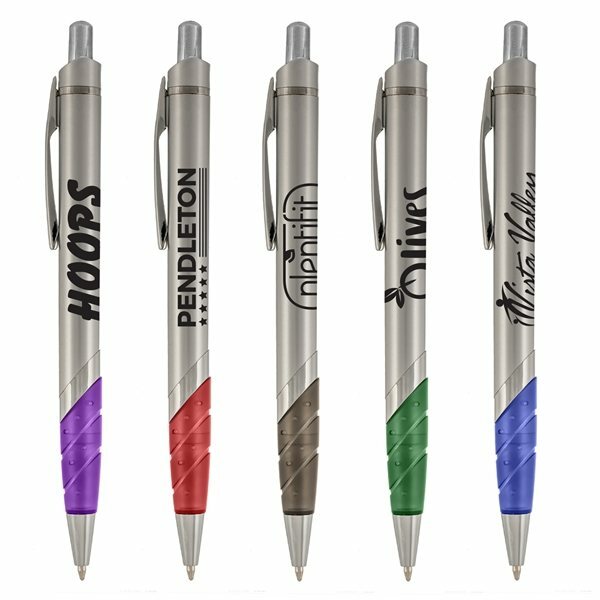 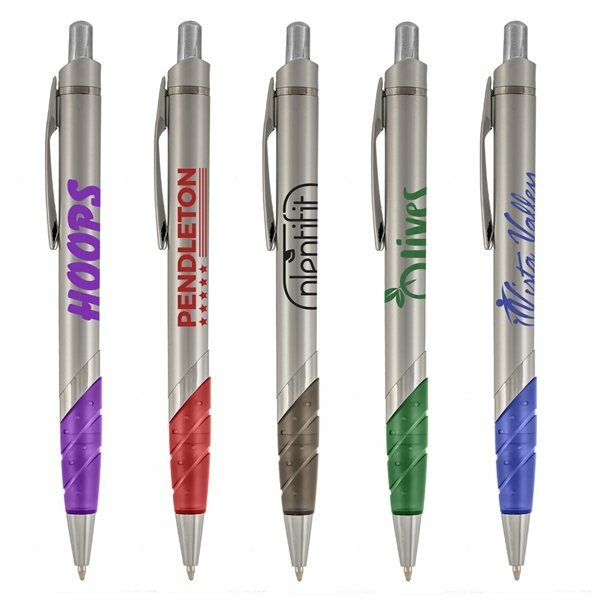 The Parkway pen has a quick-click plunger for fast, easy writing, and is customized with your imprinted logo and message. 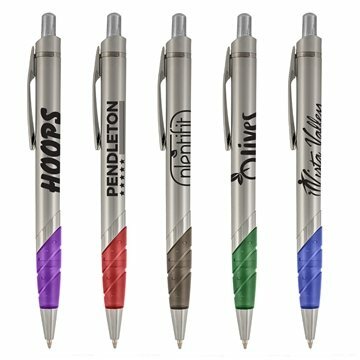 An excellent giveaway item for the value, this pen is a great way to spread the word about your brand.